I know how the thought of using oil to wash your face sounds, it probably sounds like the opposite of what you want to do. But I'm here to tell you that is not so! I've been using a lot more oil products as skin moisturizers and face washes. 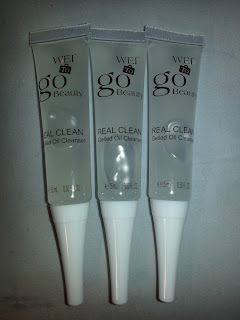 It struck me as odd the first time I used a oil cleanser as well, but I really love them. They get your skin clean, remove makeup, and don't clog pores! 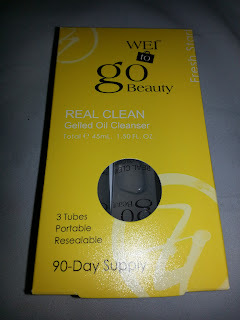 Today I will bring you my review of the Wei to go Beauty Real Clean Gelled Oil Cleanser set. You may have seen this brand or product through Birchbox if you're a member. This includes 3 tubes that amounts to a 90 day supply. The total is 1.50 fl oz and this retails for $26.00. 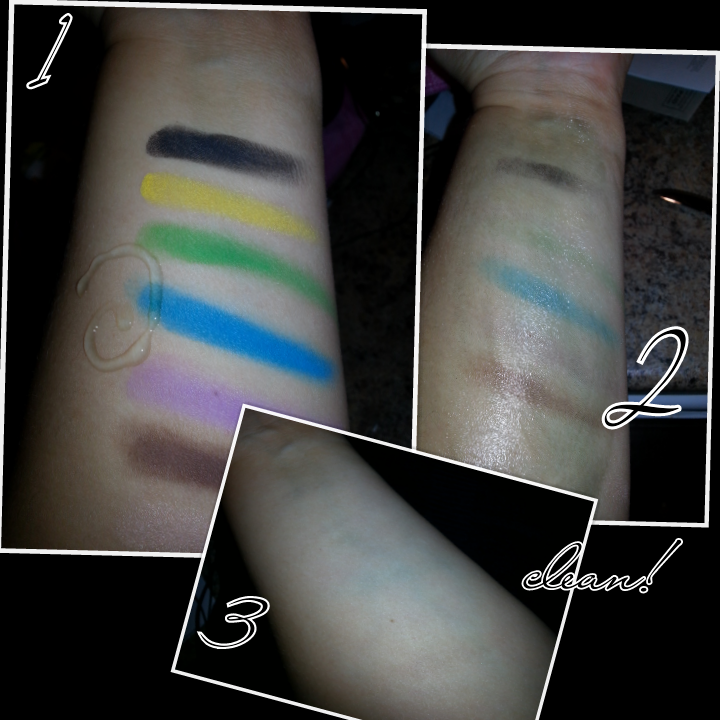 For demonstration purposes, I used more than the recommended pea sized amount as I had a lot of shadows to remove! I hope you don't have this much makeup to remove on your face! You basically apply a pea size amount of this, rub it in with your fingertips and wipe it off with a wet warm cloth. There were some remnants of the shadows, but not much at all! The product claims to leave skin soft, fresh and real clean which I agree with. I do have to mention that I would follow the instructions with using the pea sized amount because I did have some irritation, but I attribute it to my over use. This is a herbal based brand and is made in China. Check out my review of Wei's self adjusting lipstick too! Ingredients include Vitamin C and Pomegrante. Full Ingredients: Hydrogenated Poly(C6-14Olefin), Isohexadecane, Di-PPG-2 Myreth-10 Adipate, Ethylene/Propylene/Styrene Copolymer, Citrus Reticulata Peel Extract, Punica Granatum Extract, Silica, Butylene/Ethylene/Styrene Copolymer, Benzoic Acid, Phenoxyethanol. Thoughts? 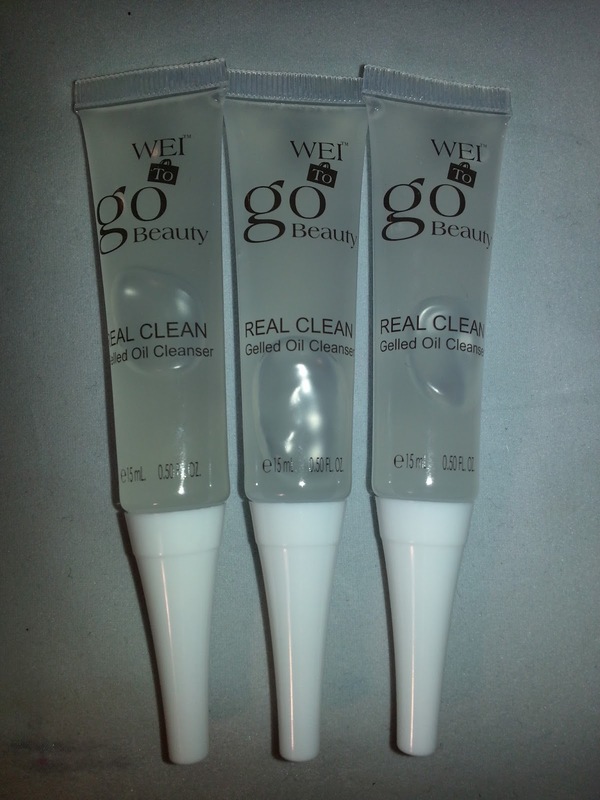 Have you ever used an oil to wash your face, remove makeup, or as a moisturizing agent? I think you'll be pleasantly surprised if you give this a try! Also, don't forget to add me on Google+! *This product was provided for consideration. All opinions are my own.